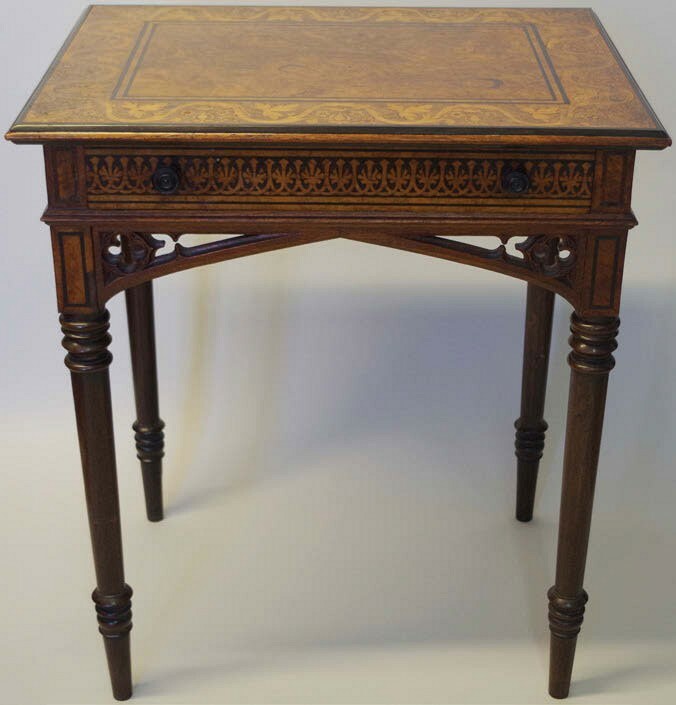 Centre table attributed to Bullock – £17,500 at Stride & Son. Although the £2000-3000 guide looked very modest, this is quite characteristic of the Chichester catalogues and did not reflect any doubt regarding its connection to the great Liverpool-London cabinetmaker. Auctioneer Peter Parker could point to a provenance back to Hampshire country estate Cheriton House and the quality of the 2ft 1in (64cm) wide table was obvious. It was made in oak, pollard oak, holly, ebonised and cocus wood with a cedar-lined frieze drawer. On March 8 it attracted multiple bidders and went to a now retired specialist dealer (to the extent that any dealer ever retires) at £17,500. 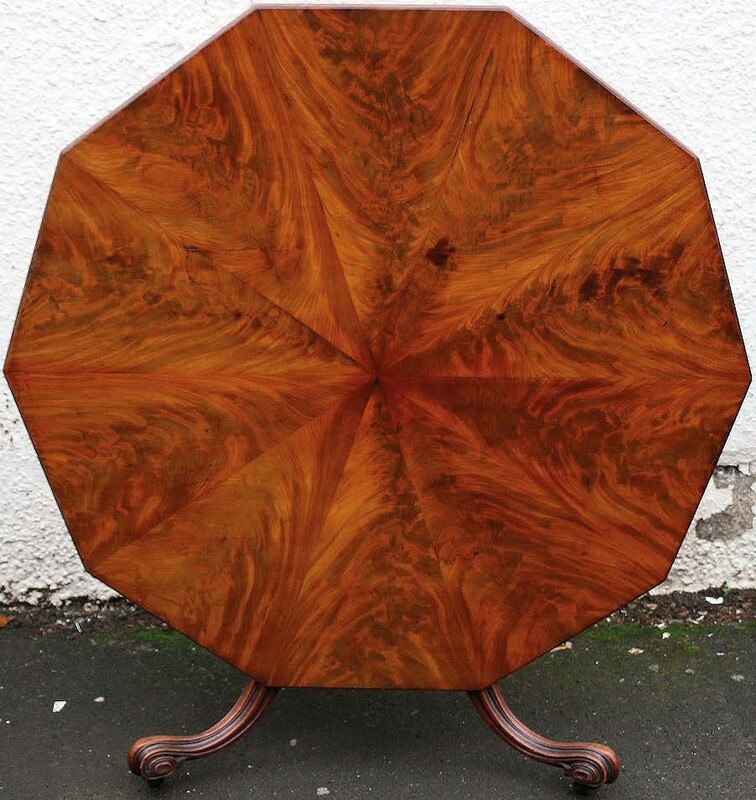 George III mahogany breakfast table – £22,000 at Thomson Roddick. An outstanding example of an otherwise relatively common item, a George III mahogany breakfast table, was the star at Thomson Roddick’s (17.5% buyer’s premium) Edinburgh sale on February 21. The 4ft 3in (1.30m) wide table with a radially veneered, moulded-edged octagonal top was described as ‘generally clean’ and pitched at £1200-1500, in line with what many ‘similar’ late 18th tables fetch these days. However, its considerable quality was appreciated by dealers and it sold at £22,000. George III serving table – £3800 at Tayler & Fletcher. 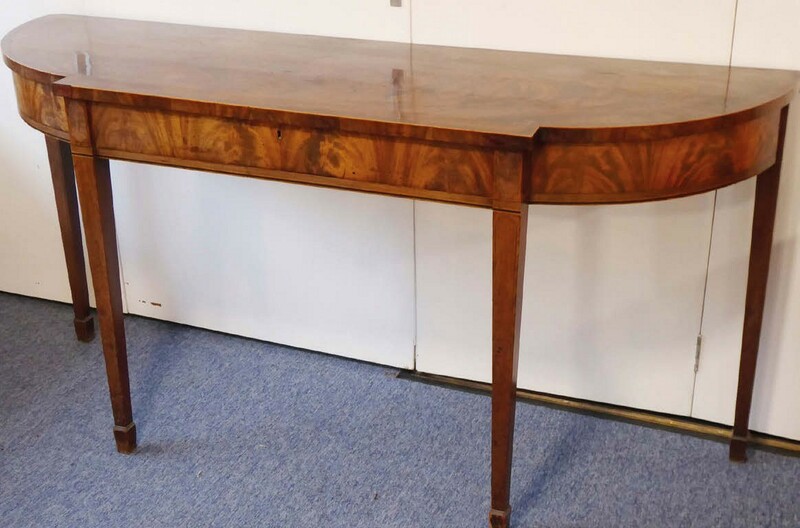 The £150-250 estimate on a late-18th century, mahogany and rosewood crossbanded serving table was certainly too low but the result at Tayler & Fletcher (18% buyer’s premium) on February 21 proved a surprise. “It came with some large furniture from a Cotswolds farmhouse and I’d hoped it might go towards £1000,” said Bourton-on-the-Water auctioneer Martin Lambert. It was showing its age, with some losses to the veneer and crossbanding, a dark patch to the top and some fading to the frieze, but the original condition attracted specialist dealers. After it sold to one of them at £3800 he told Lambert that the other major appeal was its proportions: unusually high at 3ft (91cm) and, more importantly with floor space at such a premium in today’s interiors, shallow at 22½in (57cm). “However long one is in the trade, it seems one is always learning,” said Lambert. Rosewood stool in the manner of Marsh & Tatham – £8000 at Dreweatts. Two pieces of 19th century furniture brought 10 times-estimate bids at Dreweatts’ (24% buyer’s premium) sale of the contents of a London townhouse. 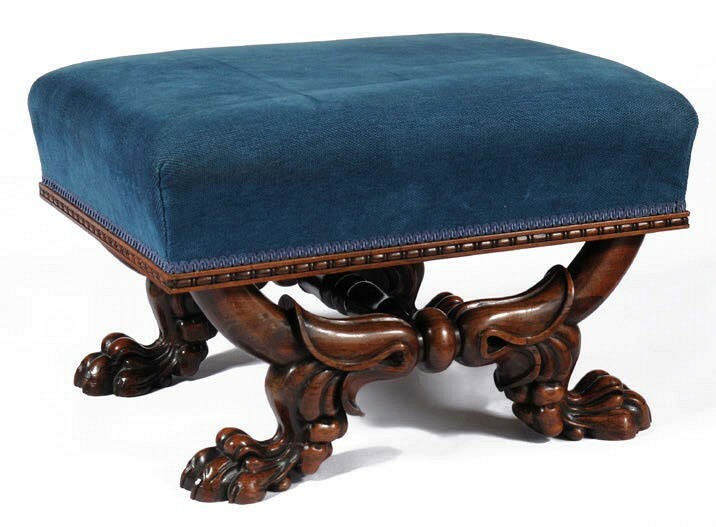 A c.1825 solid rosewood centre stool was catalogued as in the manner of Marsh & Tatham – London royal cabinetmakers William Marsh (active 1775-1810) and Thomas Tatham (1763- 1818), whose influence lasted for years after their deaths. The (41cm) high stool on lion paw feet was pitched at £800-1200 and sold at £8000. A small walnut chest on stand was the other big surprise at the February 27 sale. In George I style, but of 19th century manufacture, the 21in tall x 2ft 7in wide (53 x 80cm) chest sold at £3500 against an estimate of £200-300.